There are too many ways to launch your book.Author platform, social media, blogging, podcasting, guest posting, blog tour, paid promotion and the list can go on and on. 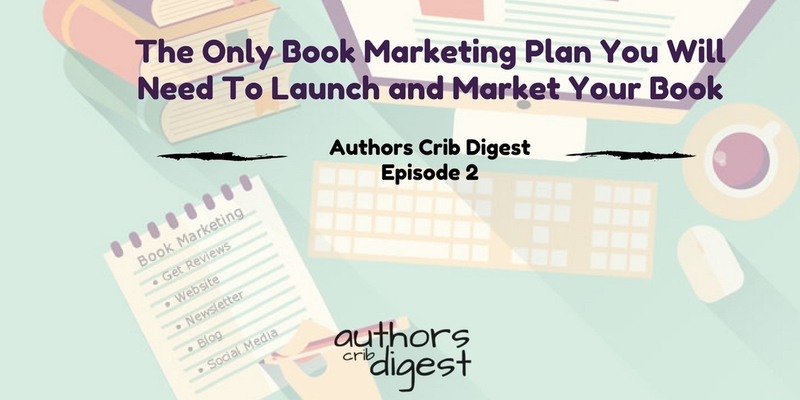 After years of helping authors build their platforms, and then use those platforms to launch top bestsellers, Tim Grahl put together this checklist of proven book marketing methods to help you create your book marketing plan. Go read this – to me, this is the only marketing plan you will need to promote or launch your book. Unless you write your book for the fun of been called an author, you will need to sell your books. But the problem is most authors don’t have an audience. But how can you market your book if you have no audience yet? One of the best tips from this is finding your target boo audience and connecting with them but the question is how? And did I tell you Goodreads is the Facebook for readers and authors? Don’t let that be a big deal, here is how to use Goodreads to find and connect with your target readers. I Will Be Giving All My Books Away For Free! Find Out Why Before You Say Anything. Call me the dean of the Old School and I won’t mind. From the archive of the yester-years comes this great piece by Pat Flynn. In weeks to come, most of my published books will be removed from the sales tray and made free for everyone! I am not crazy anyway and here is why I am super stoked at giving most of my published book away. Here are 17 Ways..The Question Is Which One Will You Use? Book marketing, as you know by now, is not an exact science, but rather a combination of a wide variety of efforts that each play a role in an indie author’s success. With that in mind you’ve got 17 ways to sell more books in 2017. Let me know the one you are likely to use in the next few weeks. When you think about marketing your books or yourself as a “marketer,” what thoughts come into your mind, and what feelings come into your body? Do you feel like a sleazy used car salesperson (and no, not everyone in used car sales is sleazy)? Do you think only already rich and famous people can sell books? Do you have doubts about whether or not your book is even good enough to deserve to be sold? I caught a lot of corner when I started writing and publishing books and I paid dearly for it. I don’t have much then to pay for getting my book edited, proofread and even formatted but years down the road, I now understand how not to confuse cost with value. If you could get your author career to where it needs to be, how much would that be worth to you? Where are the geographical superpowers of publishing? Have you ever felt like book marketing is overwhelming? Does it seem like doing a lot of busy work to get your name and your book out there with little to no results? Here’s the roundup of author resources to make your book marketing effortless and help you see a significant difference in book marketing. Whether you are a self-published author or have gone the traditional publishing route, marketing your book will ultimately be your responsibility. What is the biggest book marketing mistake authors make and what should they be doing instead? The Association of American Publishers has released its latest figures, for the last quarter of 2016, and guess what they show? You’ve got it. A dramatic (16%) fall in ebook revenue, steady growth in print, and big (29%) growth in audiobooks. These figures pretty much write themselves it seems. What’s interesting is that audio is now almost 1/4 the size of ebooks. If these figures continue then the audiobook market would be the same as the ebook market by the end of 2020. The most talked about piece by far this week has been this fascinating survey of the behaviour of Kindle Unlimited subscribers. The take homes from this survey might not be hugely unexpected but the figures are most definitely worth studying (though the calculation of the number of books being read in the KU programme that they begin with seems to fail to account for the difference between the way numbers of pages are counted in print books and on Kindle, which makes one wonder a little). First, KU subscribers read more books than those not in the programme (about the same percentage – 27/8 – of each read 5 to 10 books, but while 43% of non-subscribers read fewer, that number of subscribers reads more). Second, romance is the dominant genre. Most interesting though, and perhaps most surprising: KU subscribers will have no problem buying books that are not included in the programme; and they are more than 20% more likely than non-subscribers to leave a review..
Go get a copy on Amazon – it’s worth a read.